Rashid Khan, born in 1966, is perhaps the most convincing proof of what miracles the revived Gurukul system can achieve. Under the tutelage of Ustad Nissar Hussain Khan, the Sahaswan Gharana maestro, for the last ten years in Research Academy, Calcutta, Rashid has metamorphosed from a gawky, groaning child to an artiste of unbelievable maturity, vocal prowess and artistry. Rashid’s alap is ticklishly imaginitive, his rhythmic play pulsating and the cascades of his powerful, lightening, swift taans unimaginable until actually heard. Rashid has naturally taken listeners and the Press by storm wherever he has gone, and at a conference at Bhubaneahwar in 1982, a member of audience was so overwhelmed by the uncanny expertise of the young boy that he promptly made him a gift of one thousand Rupees. 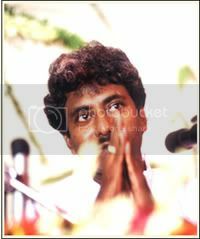 In 1986 the Festival of India authorities invited Rashid Khan to present the only music recital on the occasion of the release of Double Album on Great Masters of Music by the then Prime Minister of India, late Rajiv Gandhi. The concert was intended to signify the continuance of the tradition of excellence in Indian classical music. Rashid Khan was awarded the ‘A’ Grade by All India Radio in 1987. In 1988 he cut his first record. Doordarshan has produced and telecast a special programme on this phenomenon. In 1989 Rashid Khan made an extensive tour of the United States and Canada, taking, as usual, crowds by storm. Rashid Khan has been hailed as a great successor to the Bade Ghulam Ali Khan – Ameer Khan generation – an era today almost given up as lost. He had truly arrived on the scene when Pt. Bhimsen Joshi heard him at a concert in early 1988 and proclaimed that there is now at least one person in sight who is an assurance for the future of Hindustani Vocal Music. Amongst the vocalists of the younger generation of the Jaipur-Atrauli tradition of Khyal singing, Ashwini Bhide-Deshpande is an artiste of great caliber. She has been performing in a number of prestigious music conferences in India for over fifteen years and have had successful concert tours of Europe as well as of North American continent. Ashwini began her training at the age of five under the guidance of Pandit Narayanrao Datar. After graduating with a “sangeet visharad” from Gandharva Mahavidyalaya, she started receiving guidance and meticulous attention from her mother, Smt. 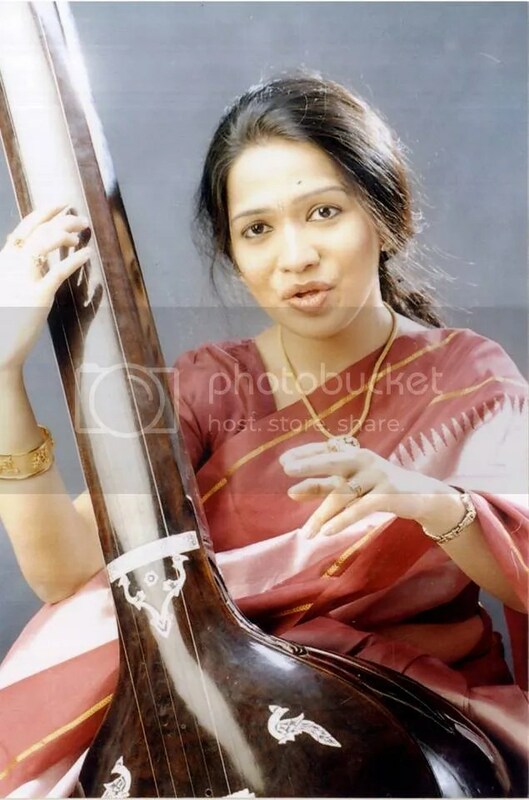 Manik Bhide, a great Khyal singer herself. Ashwini has inherited all that was best in her mother’s style and was able to add a lot to her repertoire with great sensitivity and intellect. Presently she is receiving guidance from Pandit Ratnakar Pai, a veteran of the Jaipur gharana. Systematic exposition of the Raag structure, brilliant phrasing, variety of taan patterns, ease and grace in all of the three octaves mark her singing. She does not merely present the gammer of a Raag, but can build it up into an aesthetically pleasing experience. A resident of Mumbai, Ashwini is a graduate in Microbiology and also holds a Ph.D. degree in Biochemistry.